Approximately 3.5 million people in the U.S. are homeless, many of them veterans. 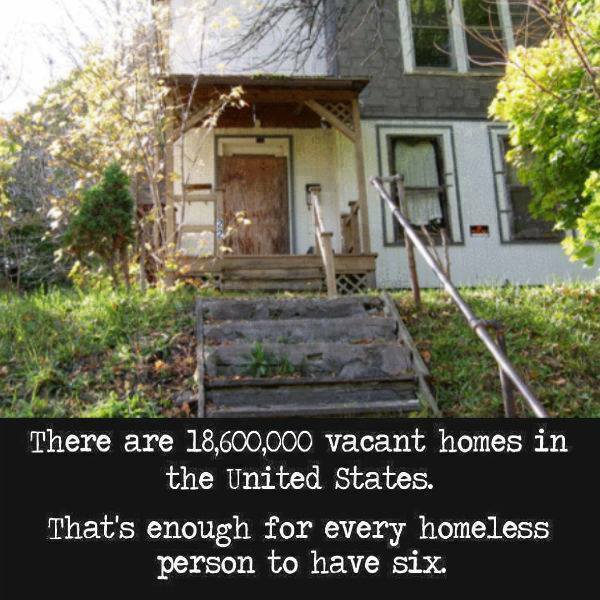 It is worth noting that, at the same time, there are 18.6 million vacant homes in the country. The National Economic and Social Rights Initiative along with Amnesty International are asking the U.S. to step up its efforts to address the foreclosure crisis, including by giving serious consideration to the growing call for a foreclosuremoratorium and other forms of relief for those at risk, and establishing a housing finance system that fulfills human rights obligations.